I first met Rhiannon when she attended one of my Vital Voice courses soon after she qualified as an SLT. Her interest was in voice and transgender voice and her, enthusiasm and dedicated nature inspired me to offer her a specialist, intense level training over a period of 18 months. This involved observation of my therapy, attendance at other courses and supervision days I ran both in voice and transgender voice and assisting with voice groups. The training also involved completing recommended reading tasks and experiential training regarding her own voice such that she could model exercises and voice qualities. Attendance at other external voice courses also features in Rhiannon’s training as well as participation in research. In addition to ensuring a high level of clinical competence and clinical ability, Rhiannon’s extensive training in the Antoni Method of voice modification ensures consistency of approach according to the Antoni Method models which have successfully assisted thousands of clients to achieve the voice goals they seek. 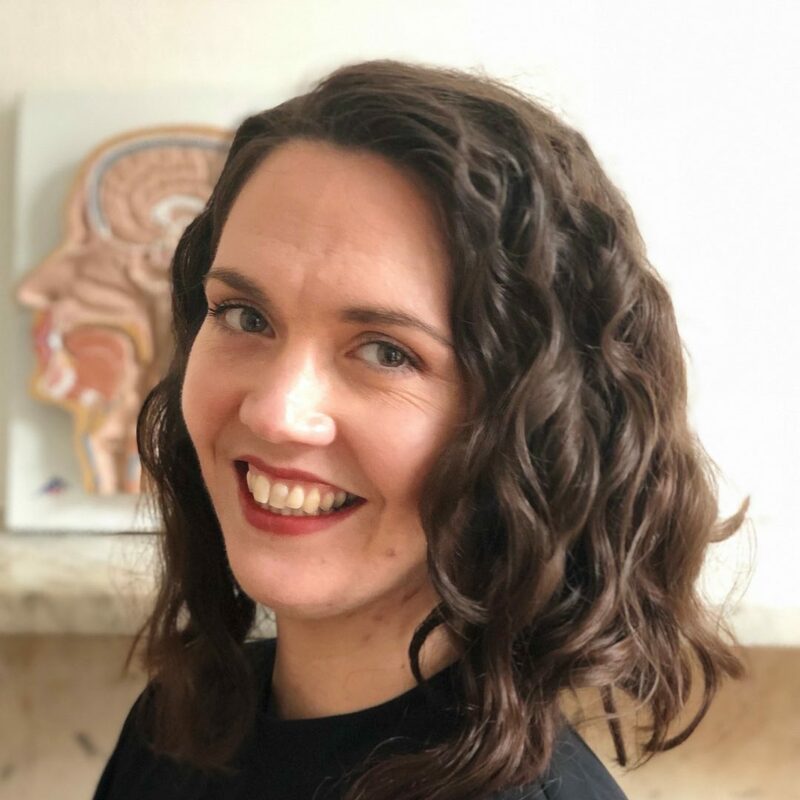 Rhiannon has received an advanced level of supervision which is on-going As my methods of working with voice evolve even further, these are also shared with Rhiannon to ensure advancement and efficiency of clinical practice. It has been my pleasure to work with Rhiannon from her early days of qualification to have assisted her to progress from a developing specialist to a specialist clinician. “One of the hardest parts about transitioning is finally, painstakingly, getting to a place where you’re happy in your body, but getting looks every time you open your mouth. Working with Rhiannon over the past year to get my voice to a place where I’m happy has been an absolute joy. She’s a kind and warm person, and has the patience for breaking past shyness with ease. I’ll never forget the fun we’ve had practicing poems as a way to practice voice tone, and thinking back on the silliness makes me smile. Underneath all that fun and flexibility is somebody who knows exactly what she is doing with the training, and my results speak for her skill. I’m totally happy with how my voice sounds, and it’s no longer something I have to think of. Nobody misgenders me, and I’m comfortable in any situation I can come across. That’s all thanks to the amazing support that Rhiannon has provided through the entire process. I highly, *highly* recommend Rhiannon to anybody looking for voice therapy.” A. “Rhiannon’s coaching has made a huge difference to my life. In my work and social life, I can communicate confidently and be treated as a woman without any issues. Rhiannon has a very high level of knowledge regarding voice feminisation, which she uses in a positive, encouraging manner. You will be pushed, in a good way.